Gannon and Hoang On Investing-Unrepeatable Moats. Csinvesting-A Reader’s Question On Niche Vs Moat and Greenwald Class Notes. Make sure to read all the way to the comments as there is a very good discussion going on about moats there. Fundoo Professor-Presentation on Moats and Floats. Decided to post this again because it is so important. Also read the comments section. Fundoo Professor-All About Floats: Parts 1, 2, and 3. Make sure to read the comments section as the discussion there goes quite deep into the inner workings of float. Gannon and Hoang On Investing-Capital Allocation Discount. ValueInvestingBlog.net-Audika Group: Can You Hear The Call Of Value. Whopper Investments-$LAKE Update, The Bottom Has Fallen Out. 25iq.com-Charlie Munger On Moats (First Of The Four Essential Filters). Extremely valuable read for people learning about moats as I am right now. Also contains a bunch of links to other Munger and moat information. Psychology Today-Why Too Much Data Disables Your Decision Making. Oddball Stocks-Thinking Like A Bond Investor. Market Folly-Charlie Munger On The Psychology of Human Misjudgement. Zenpenny-Here Is To The Downfall Of Micro Managing Portfolio Positions. SMB Training-What A Star Portfolio Manager Can Teach Us About Improvement. If you have ever read the goals page on this blog you know that I plan to open up my own investment partnership or work at a value fund as an equity research analyst as soon as my health gets completely better. My health is still not completely better so opening my own firm will have to wait, and unless I can get an outsourced research analyst job where I can stay at home that also will have to wait a bit longer. Thus far I have sent emails to some value investment firms showing them my work in the hopes of becoming an outsourced research analyst for their firms and have so far received no replies. Thinking about getting some packets together and sending physical information to them because I am sure these firms get hundreds or thousands of emails per day. As I have been gaining experience, knowledge, and confidence in my ability to analyze companies, I have been looking more and more into what I can possibly do to make some money while I wait for my health to get completely better. Starting some kind of research firm where I could sell my ideas and analysis articles to value investment firms, or work for them from home doing research on specific companies that they want me to look into. Some kind of consulting firm where I could offer my services to local businesses offering to analyze their businesses to see where they could maybe cut costs, and give them some ideas about how they could become more profitable. So far I have gone over the various pros and cons of both and wanted to ask if any of you have any experience doing either of those two ideas above, what those experiences have been like, and if you might be able to offer any advice about potentially starting one of those firms. Also if you might have any other ideas of how I could put my knowledge to use while I wait for my health to get better please let me know. If any one of you are looking for someone who loves to research and dig deep into companies please let me know as I would be very interested in learning about your company and hearing those opportunities as well. Any advice or help would be very much appreciated as I think I could be an asset to companies and help make them money. Greenbackd-The Brick Valuations and Analysis Report. Oddball Stocks-The Problem With Linear Thinking. CNN Money-The Best Investor You Have Never Heard Of. Geoff Gannon at GuruFocus-What Is Your Investing Goal? Geoff Gannon at GuruFocus-How Would Warren Buffett Invest If He Was Starting Over Today? Old School Value-How To Invest In The Stock Market-Reflections. Barel Karsan-Insight Into A Buffett Moat. While I am still working my way through The Investment Checklist I wanted to post some more links. The book has so far been fantastic and I have found many more things to think about when learning about a new company. I have already found revisions that I need to make to my plan for deliberate practice that I wrote about last week, and once I finish reading the book I will post them. Now to the links. 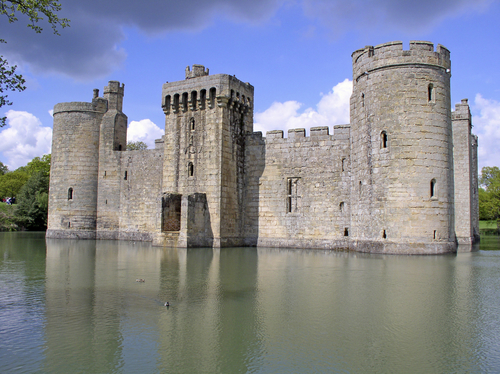 5 Ways to Identify Wide Economic Moats is an article from Old School Investing, written by Daniel Sparks of ValueFolio, that talks about why economic moats and sustainable competitive advantages are so important, and gives you some ways to help spot them. 6 Simple Tactics to Regain Clarity is an article from pickthebrain.com that gives you six tips to help regain your focus and get back on track to attaining your goals. Why Success Breeds Success: The Science of “The Winner Effect” is an article from brainpickings.org on why winners continue to win and losers continue to lose, and the effect that both have on your brain and body functions. Understanding the Dangers of “Ego-Depletion” is a fantastic article from fourhourworkweek.com that is about how to stop wasting your valuable brain functioning power on unimportant decisions so that you are more prepared and better able to make an important decision when the time arises. Now back to reading, I hope you enjoy the links. Finding companies that are undervalued and have a moat, or competitive advantage, is a winning combination for value investors. Determining if a company has a moat can be difficult, and finding a company that has a long term competitive advantage can be even harder. Here is an article from morningstar.com that talks about moats, and gives you some examples so that we can learn how to spot them. I have thought for a while now that Vivendi would have difficulty finding a buyer for Activision Blizzard, this article only confirms my suspicions. So far it looks like Microsoft and Disney have said no to buying ATVI. If they cannot find a buyer, then they will either sell the shares on the open market or do some kind of spin off of ATVI. Leon Cooperman, who founded Omega Advisors investment fund in 1991, and who is now worth $2 billion, gives his tips on how to succeed in business, and how to become a better investment advisor. Not All Moats are Created Equal article. Great article from morningstar.com discussing competitive advantages and moats.